We're spending a lot of money and not getting results. In the midst of the third presidential debate in Florida, which was supposedly about foreign policy, President Barack Obama interjected a few words about American education. The rationale was not unreasonable. A better-educated America will be a better-performing and more internationally competitive America. "Let's talk about what we need to compete. ... Let's take an example that we know is going to make a difference in the 21st century and that's our education policy," he said. Unfortunately, as is so often the case with politicians, what we hear sounds so logical, so compelling. If only it had anything to do with reality. According to the fractured political logic on education, which is not much different from what we hear regarding most areas of public policy, the reason we have failure is we're not doing enough of what already isn't working. In the case of education, we're spending a lot of money and not getting results. So the problem must be, in the brilliant political take on matters, we're just not spending enough money. "I now want to hire more teachers, especially in math and science, because we know that we've fallen behind when it comes to math and science," Obama said. "And those teachers can make a difference." But, Mr. President, what information do you have that leads you to conclude that more teachers can make a difference? According to information recently published by Face the Facts USA, a nonpartisan project of the George Washington University School of Media and Public Affairs, over the last decade the federal government spent $293 billion and states spent a combined $5.5 trillion -- money targeted to improving academic performance -- with no discernable change in reading and math scores. "A quarter of high school seniors don't meet basic reading standards and a third fall below basic math proficiency," Face the Facts USA reports. Throwing money at education may make those who get the money better off, but there is little, if any, evidence that it makes any difference at all in improving academic performance. 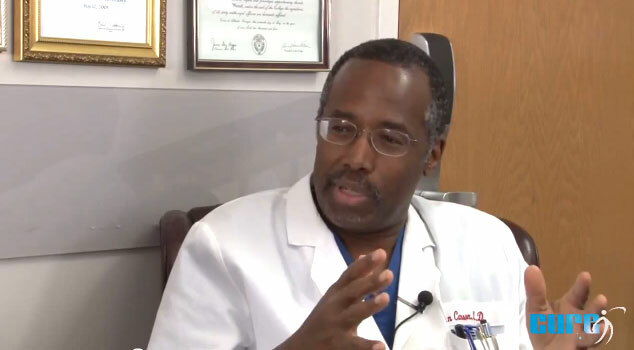 Recently, I sat down and interviewed one of my heroes: Dr. Ben Carson, director of pediatric neurosurgery at Johns Hopkins Hospital. Outside of his work, Carson's passion is education. As someone who grew up in a Detroit ghetto, whose mother was a domestic who could not read, he has some idea what it means to start with nothing and achieve the American dream. But listening to Carson -- whose latest book is titled "America the Beautiful: Rediscovering What Made This Nation Great" -- you get a much different take on what is wrong with education and our nation today than what we hear from politicians. Carson says, "We were a 'can do' nation and now we're a 'what can you do for me' nation." He talks about the two biggest influences when he was a boy: a demanding and caring mother and his church. According to Carson, "we're being crucified by political correctness -- that any lifestyle is equivalent to any other lifestyle." Through the Carson Scholars Fund, he provides $1,000 college scholarships to kids "who excel academically and are dedicated to serving their communities." He also builds reading rooms -- there are now 77 at schools in 11 states -- designed to provoke kids to want to read. After a half-hour interview with Carson (see www.CureAmerica.us), here's my takeaway: Education is about family, meaning, personal responsibility, standards of right and wrong, and appreciating the uniqueness of every child. Without these fundamentals, truckloads of taxpayer money will accomplish nothing. Which is why the trillions being spent are poured into a black hole. I would add that, given the realities of today's public schools -- defined by the political correctness that Carson says is crucifying us -- there is no hope of meeting his standards for education without giving parents freedom to choose where to send their kid to school.